Finnish-American Club 1932 was established 75 years ago. Up to today, they have relied on traditional paperwork to sign up new members, but now Strategy Star has helped the organization streamline the process with a quick and easy online application form. We developed a simple website to communicate the club’s message to the world. The club can now be found via search engines and members have something to bookmark and check every now and then for news and events. The website has an in-line editing mechanism that allows the club administrators to manage content, news, and events in real-time right from their web browsers. British Columbia police officer, Const. David Brierley was frustrated with the lack of resources to help him identify stolen items, so he worked with Strategy Star to build a public service website where Canadian citizens could register their personal possessions with VIN numbers, serial numbers, barcodes, and other details for the off chance that the property was stolen and later recovered by Police. “So now the police officer on the road will be able to use the property cop database to query serial numbers that the owner has proactively provided, and for the first time he’ll be able to find out who the owner is and get the item back to him,” Brierly told CBC News. 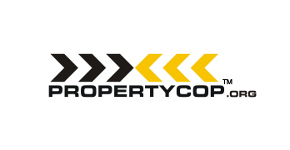 The Propertycop website consists of a public facing website as well as a private mobile portal that the police can access from their patrol vehicle equipment. In the public website citizens can register their personal possessions that might be targeted by thieves. The mobile portal is used by police to check whether recovered property has been proactively registered by anyone, in which case it could be returned to the rightful owner.